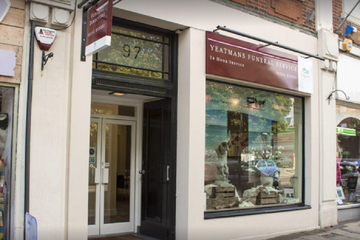 Bournemouth has 11 funeral directors that provide services to a population of about 183,941. Some of the funeral arrangement services they provide include death registration, announcements, transportation, tributes and memorials. Customers can also benefit from after-funeral services such as monuments, memorial masonry, and financial and legal advice. 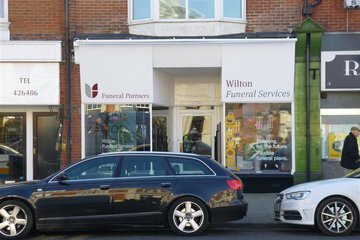 Funeral homes in Bournemouth are spread out evenly in different sections of the town, from Lansdowne to Wimborne. Over half of the population in Bournemouth is Christian, with the United Reformed Church, Church of England and Roman Catholic being the majority. 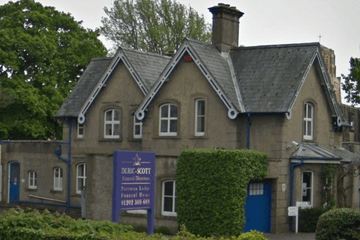 Therefore many funeral directors in Bournemouth are experienced in offering services to suit these different denominations. Other faiths in the town that businesses cater to include Sikhism, Judaism, Islam, Buddhism and Hinduism. Jewish religious functions are held at the Bournemouth Hebrew Congregation in Wootton Gardens, while Muslims attend the Bournemouth Islamic Centre and Central Mosque on St Stephen’s Road and Jamia Masjid on Cranmer Road. A considerable percentage of the population of Bournemouth identifies as non-religious. 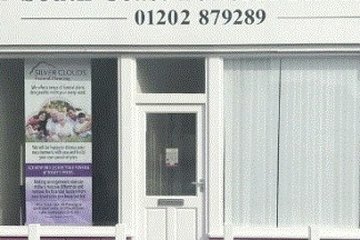 This means that funeral directors in Bournemouth may have experience providing secular or Humanist services. Selected funeral homes make specialist arrangements, such as military funerals and burial at sea for customers who require them. Bournemouth has four public cemeteries, including the North Cemetery and Kinson Cemetery, all of which have chapels for burial ceremonies. The Bournemouth Crematorium in North Cemetery is the only municipal crematorium. 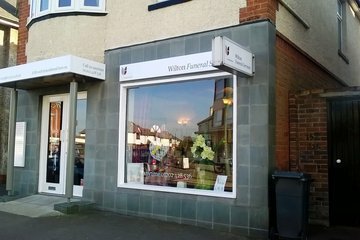 Search using your postcode or area to find local funeral directors in Bournemouth. You can order results by best rated, most reviewed or nearest to you. Click on a funeral director’s profile to learn more about the services they provide, read customer reviews, and contact them to discuss funeral arrangements for your loved one. Beautiful family run business. Highly recommend. Guided me through planning a funeral for the first time, with a personal and sympathetic attitude. All went very smoothly although not to sure the ashes weren't meant to be in an Urn rather than a paper stapled bag. Excellent family business, very supportive and attentive. Would highly recommend.